So I asked my son to water the small patch of flowers in front of the house yesterday. It was already past 90 degrees outside, so they were going to need the water. The kid came back in soaked…because sprinklers are fun! It’s classic, timeless fun! Here I am, in what will hopefully be the only image of me in a swimsuit ever uploaded to the internet. 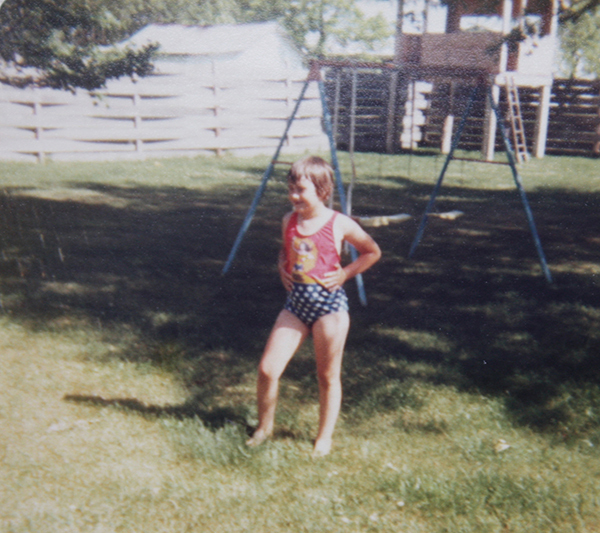 I’m enjoying some sprinkler action in my Wonder Woman swimsuit in 1979. 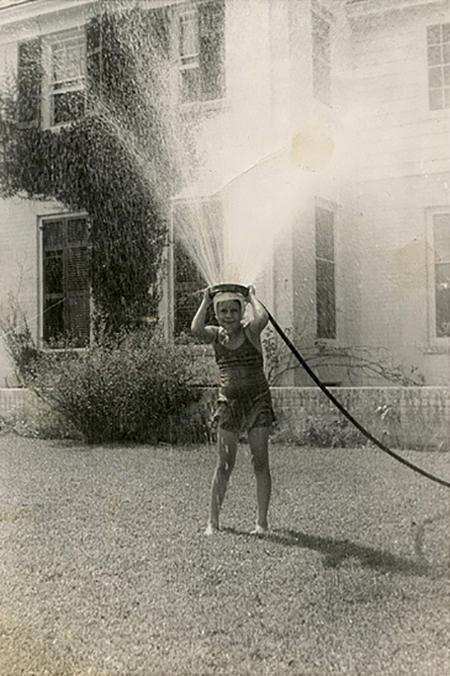 Back before air conditioning, a sprinkler party was a great way to cool off in the city heat. Dig that skinny fella in the front of the shot in wool swim trunks! 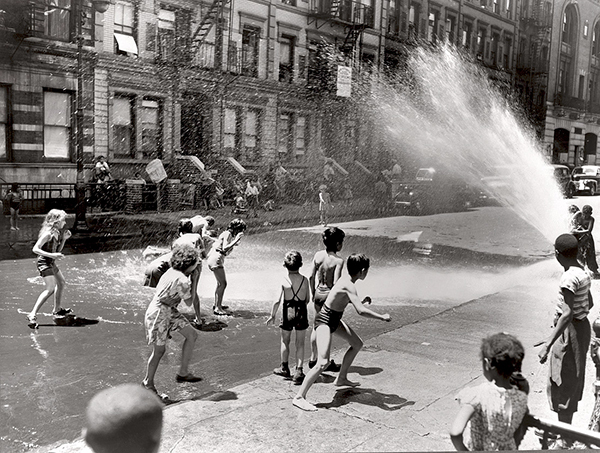 A fire hydrant would be opened up and the kids would come running. How did they get the word out before twitter? 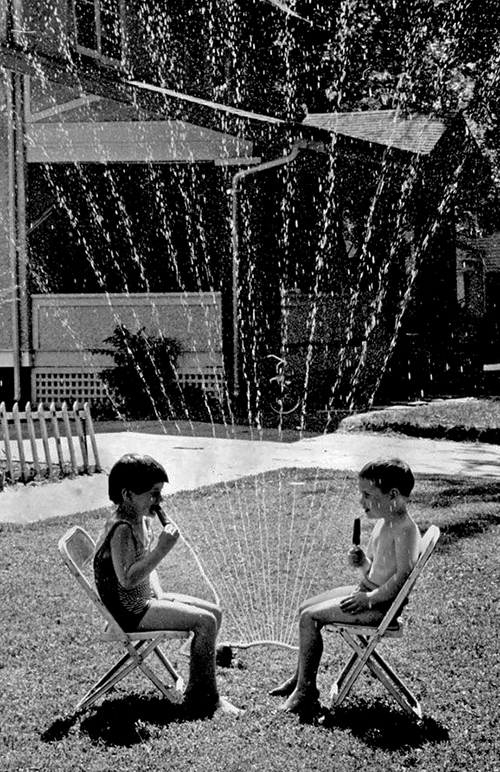 There was a bit of a heat wave in 1968 here in Omaha when a World Herald photographer caught this smart pair enjoying a fudge pop with their sprinkles. How is the weather in your area? We’re seeing a fast start to summer here in middle America. We’ll keep the hose handy!